From 9 – 11 of June, mayors, local councillors and activists from over 40 countries will meet in Barcelona for the international municipalist summit ‘Fearless Cities’. The event will bring together, for the first time, a network of municipalist platforms that has been expanding around the world, to relatively little fanfare, over recent years. The municipalist movement is made up of an ecosystem of organizations working within and beyond electoral politics at local level. It’s a movement defined as much by how it does politics as by its goals, and it is this insistence on the need to do things differently that gives municipalism its unique strength in the current context. Municipalism works at the local scale. In an age of xenophobic discourses that exclude people based on national or ethnic criteria, municipalism constructs alternative forms of collective identity and citizenship based on residence and participation. Municipalism is pragmatic and goal-based: in a neoliberal system that tells us ‘there is no alternative’, municipalism proves that things can be done differently through small, but concrete, victories, like remuncipalizing basic services or providing local ID schemes for undocumented immigrants. Municipalism allows us to reclaim individual and collective autonomy; in response to citizen demands for real democracy, municipalism opens up forms of participation that go beyond voting once every few years. The municipalist movement has already made significant inroads in some areas of the world. Perhaps the most profound contemporary expressions of municipalism are found in the Kurdish movements in the Middle East. Against the most inhospitable background of conflict and repression, the Kurds are building feminist, assembly-based models of stateless democracy, most notably in the self-governing region of Rojava in Northern Syria. Municipalism is also flourishing in Southern Europe. In Spain, citizen platformsgovern most major cities, including Barcelona and Madrid. These platforms followed in the footsteps of the municipalist Popular Unity Candidacies (CUP), which gained significant representation in the 2007 and 2011 local elections in Catalonia. Spain’s ‘cities of change’ are reversing austerity measures, remunicipalizing basic services and integrating an explicitly feminist perspective into public policy. As a network, these city halls are also playing a significant role in challenging central government policy on issues like migration and housing. In Italy, Cambiamo Messina dal Basso was an early example of what is known as “neo-municipalismo”, taking office in the Sicilian city in 2013. In Naples, a municipalist coalition has developed innovative ways of democratizing the urban commons and stood up to the central government over urban development plans under the leadership of Mayor Luigi Demagistris. Citizen platforms have seats on city councils in Bologna and Pisa, while in other cities, like Padova or Verona, platforms are running for office in the local elections on June 11. Elsewhere, municipalism is being explored as a strategy for the future in response to the failures and limits of national politics. In France, for example, activists from the Nuit Debout movement that occupied city squares in 2016 are considering replicating the municipalist path taken by some of their indignados counterparts in Spain at the 2020 local elections. The citizen-left-green alliance, RCGE that governs in Grenoble with mayor Eric Piolle, and Autrement pour Saillans in the small town of Saillans could serve as potential sources of inspiration closer to home. In the wake of a presidential election that presented a choice between a neoliberal and a far-right candidate, the time is ripe in France to prove that there are alternatives at local level. In the wake of a presidential election that presented a choice between a neoliberal and a far-right candidate, the time is ripe in France to prove that there are alternatives at local level. Similarly, in the USA, the victory of Trump has provoked reflection among supporters of Bernie Sanders about the potential of towns and cities as sites of resistance and transformation. Sanders himself has said that the next step for his movement is to organize locally and stand candidates for local office. The Working Families Party, which endorsed Sanders in 2016, is actively working to harness the energy of his movement in local and state primary races. In the US, as in France, there are isolated cases of municipalist platforms – Richmond for All in California, and the People’s Assembly in Jackson, Mississippi – that could serve as models for a broader movement. 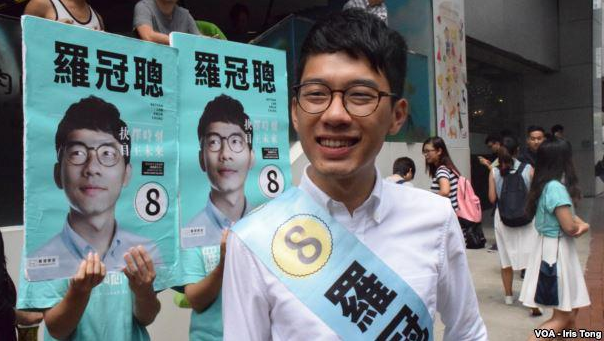 In Hong Kong, the city council has become a key site of conflict between the pro-democracy movement and the Chinese government: elected councillorsfrom the Demosisto and Youngspiration parties face repression and state prosecution for their role in pro-democracy protests inside and outside the council chamber. In Poland, another country governed by the authoritarian right, a municipalist movement has been brewing for a number of years. 2011 saw the founding of the Congress of Urban Movements, bringing together diverse organizations working at local level. A number of citizen platforms from the congress stood in the local elections in 2014, picking up seats in six city councils and on district councils in Warsaw, and winning the mayoralty in Gorzow Wielkopolski. Municipal elections in 2018 should see this movement make further advances, in alliance with local branches of the national party, Razem.Municipal elections in 2018 should see this movement make further advances, in alliance with local branches of the national party, Razem. In Latin America, too, municipal movements are providing glimmers of hope against a backdrop of national stagnation or crisis. In 2016, Áurea Carolina de Freitas of citizen platform Cidade que Queremos won more votes than any other candidate for city council in Belo Horizonte, Brazil, while Jorge Sharpe, a former student activist supported by a citizen platform, won the mayoralty of Chile’s second city, Valparaíso. In Rosario, Argentina, Ciudad Futura has spent over ten years creating non-state institutions outside city hall and just over two using its three councilors to push for change from within it. Up until now, international connections between these movements have been mostly limited to bilateral exchanges on organizing tactics or policy debates. But the possibility of articulating a new political space among these diverse experiences is tantalising. The response to the invitation from Barcelona en Comú to Fearless Cities – to which over 600 participants from more than 180 towns and cities have registered – suggests that there is already the latent awareness of a common municipalist identity, and appetite to deepen global collaboration. This matters, because the consolidation and expansion of municipalism globally could determine the ability of any individual platform to meet its goals over the long-term. After all, one of the greatest limits of municipalism is the difficulty it faces in responding to forces and interests that cross borders: transnational speculation in urban land and housing markets, the threat posed by multinationals to local economic and environmental sustainability, displacement and forced migration. Only a strong, networked response will be capable of providing a counterweight to central government and corporate power in these areas. It will be up to municipalist movements themselves to define a blueprint for an internationalism for the twenty-first century. An internationalism that moves beyond formal bureaucratic structures and harnesses the ways of working that define municipalism itself: concrete and goal-based, feminist and collaborative, radical yet pragmatic. Only in this way, through infinite acts of bravery, through faith in the cumulative effects of a thousand small victories, can we build a global alternative to a world in crisis.